Lisa Tanner began photography when his father Lee Taner put a camera in her hands on the site of his PBS jazz music series at the age of 7. Ever since then she has had a love of photography and music. 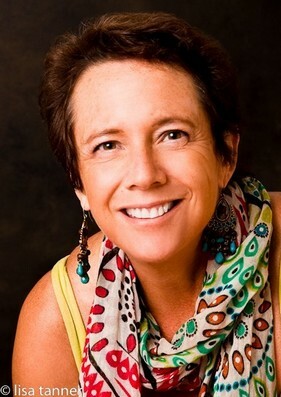 She began working as a staff photographer for Atlantic Records in the late 70's. 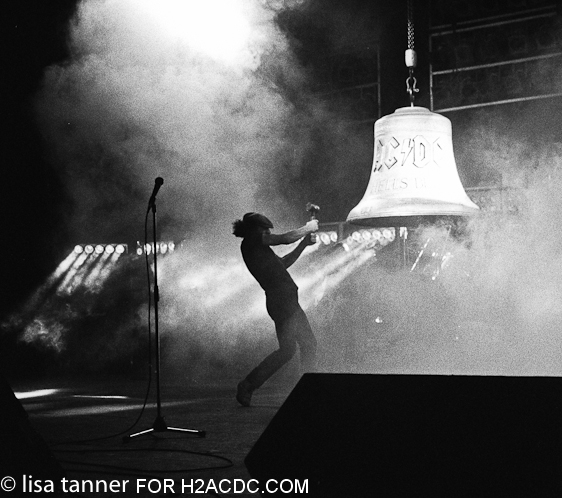 She was the AC/DC tour publicist and staff photographer from 1977 to 1982. Powerage, Highway To Hell, and Back in Black were the 3 records she was closely associated with. Thanks for all Lisa. My father was a jazz photographer and he put a camera in my hands at age 7. 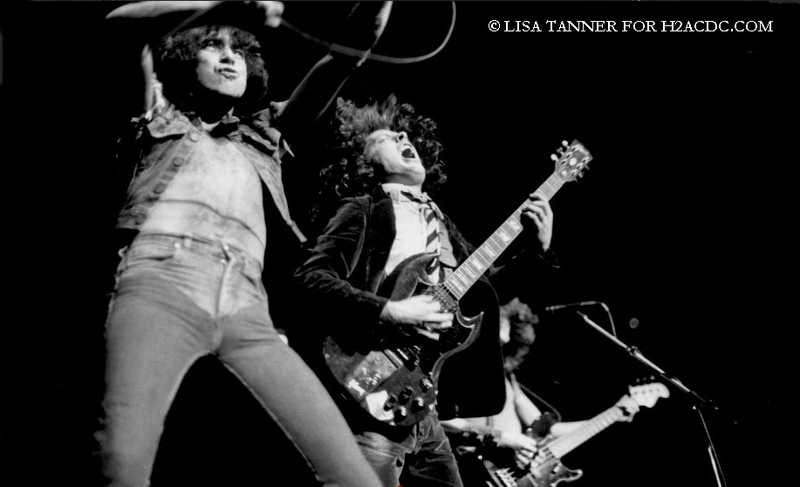 When I was a teenager I wanted to shoot The Who at Madison Square Garden in New York City. So I used my father�s connection at a record company ; she was kind enough to not squash my dreams and gave me various jobs shooting trade shots for lesser know artists at that time, such as Bob Segar and Lynard Skynard.After that I was hired as the full time photographer for Atlantic records. 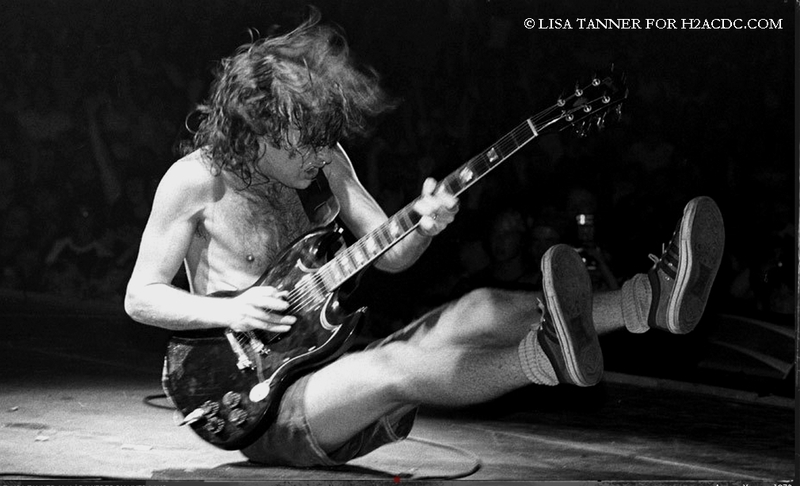 Generally speaking, how is rock photography apart from general photography ? It takes a certain skill set to capture images under changing light with lots of movement not to mention very low light low light. How did you and AC/DC meet ? They were our new band on Atlantic Records. I was sent out to photograph them and set up press for them on the road. 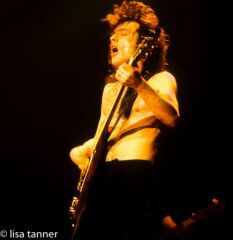 Tells us more about this fantastic AC/DC live session in 1978 visible on your site ? It was at a small club in Boston, MA and I had begged the rock writer at the Boston Globe, Steve Morse, to come and see them after dinner with me. He didn�t. 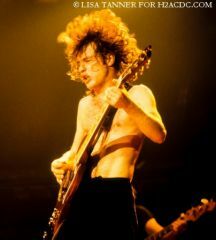 He always sites that show as the best show he ever missed- AC/DC is his favorite band. Yes, we had been playing High Voltage up in the Atlantic offices; we were all such big fans in both the publicity and radio airplay departments. I�m sure that had an effect on why they broke in the States- it was a labor of love for the team at Atlantic. 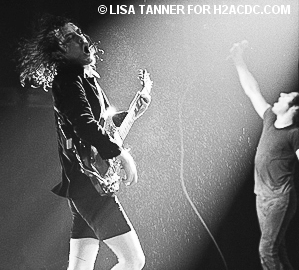 Yes, I loved that Angus wore that great school boy outfit, and the possessed such a love for performing live. And when did you first see the band live? Do you remember the venue, the date ? I�m not sure, but it was one of the first show they played in the States. I want to say they opened for another band. They were amazing and everyone�s jaws just dropped. You were both photographer and publicist for AC/DC. Over what period? What was exactly your job for the band ? Advertising ? Promotion? Did you work on a particular record or a particular tour ? I was the tour publicist and staff photographer from 1977-1982. 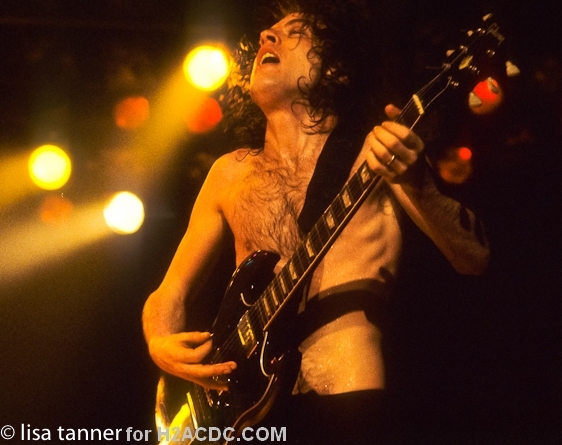 Powerage, Highway To Hell, and Back in Black were the 3 records I was closely associated with. I would set up press for them while they were on the road and shoot the shows live every night. Yes, we knew there was nothing like them. Tell us about Bon Scott. Did you guys have the chance to chat? Whatkind of man was Bon Scott in private ? I thought Bon was the same on stage as in private- full of life and, as the saying goes, full of piss and vinegar, lots of fun to be around. What was his relationship with Angus and Malcolm ? How did you perceive it ? From what I observed they all seemed to be getting along famously, they were unbelievably humble and grateful as a band. Would you say that Malcolm was already the �brain� in the band, as Bon said ? Yes, that about sums it up. !! And Angus ? What a fantastic guitarist and a nice guy ! Working as a staff photographer for Atlantic Records should be fantastic...What are your best and worst souvenirs as a music photographer ? Which band, singer is the easiest to work with ? The best souvenirs are my images. The worst is my lack of hearing from being in the pit for as many shows as I have. And actually, I think AC/DC was one of the easiest to work with, they were very accommodating and grateful as I said before, which as you can image is rare in this industry with lots of young egos. You do have a real artistic signature. Close framing, white and black,brightness. Is this an innate style or a technique you developed over the years ? I think it is an innate style, if you look at my father�s work www.thejazzimage.com you will see my work is similar, is that nature or nurture ? Perhaps a bit of both. I have, usually it is in private moments backstage, when sometimes it is appropriate to photograph them and sometimes not. One thing that was unique back in the 70�s is that there were not that many outlets for photos; bands had more trust for the photographers that traveled with them and knew that we would be discreet about what we captured and let the world see. What is great now is that Warner/Elektra/Atlantic is doing an archive project to bring those unseen images the public as visual history. We were all heart broken and thought it was the end of the band that was just breaking. What did you think about the choice of Brian Johnson in 1980 ? At first I thought no one could replace Bon, but the second I heard the tapes for Back in Black I was blown away. Dirty Deeds, brilliant and raunchy. Highway to Hell, great songs and hooks. Back in Black because it was such a wonderful surprise. Do you have seen AC/DC regularly live? In the 80, 90? 2000? During the Black Ice Tour ? I have seen a few shows, so unbelievable this band can rock as well as they always have. I would love to photograph them again some day. Jazz, advertising, and hopefully getting out on the road with bands again. Editing my photography jobs from my trip to NYC last week. That I photograph baby, fashion advertising for a living�not entirely dis-similar to photographing rock and roll. That being a photographer I do not have an abundance of pictures of me and my family. I leave the family candids to my daughter. Being lost, unless I�m in a city in Europe, it�s just no fun. Roaming the streets of Paris, camera in hand. A photographer, what can I say, I found my calling at age 2 listening to James Moody. How old I am at the present, we all get wiser with age. Live in the present and embrace all the possibilities it brings. Do you have a special message for highwaytoacdc.com and its members ?